The Progress-Focused Approach: Is it possible to prevent and reverse presbyopia? Neuroplasticity is the property of the brain to keep developing throughout life. Over the last decade or so more information has become available about how great this capability of the brain is. In this post I write about how important neuroplasticity's role can be in healing diseases and in this post I discuss some skeptical views on neuroplasticity. Since I started reading about neuroplasticity, about 10 years ago, I began to wonder how far the possibilities of brain training could go. One of the questions which interested me in particular was the question of to which degree age-related problems can be prevented or reversed. A topic about which I was specifically curious is presbyopia, the condition in which aging people are progressively less able to focus. This condition usually starts around age 40 and, from what I read, from age 50 nearly everybody is so affected by it that reading glasses are necessary in order to read. Several things may cause presbyopia, such as: (1) reduced elasticity of the lens, and (2) changes in the curvature of the lens caused by loss of power of the ciliary muscles which are around the eye. The reason for my curiosity is that I do not yet need reading glasses (ate age 53). I'm not sure why I don't but it may be related to the fact that I once found, in a book, a small exercise to train the eye muscles, which I have done, occasionally. Every since I started reading about neuroplasticity I am aware of the possibility that external aids, such as medication or glasses, may, in some case worsen medical problems. With reading glasses, I thought, this may also happen. 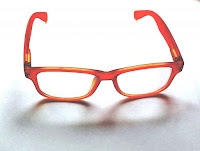 By using the glasses you take away the necessity for the eye to focus which may further weaken the ciliary muscles. Doing this may help, right here, right now, but may also gradually create a need for stronger glasses. Thus was my thought process and I had not encountered any research which answered my question (I did hear from an ophthalmologist who declared that preventing or reversing presbyopia is impossible). Now I have come across a study which does answer the question (I came across this in a great book by Anders Ericsson which will be published soon). Polat et al. (2012) demonstrated that visual performance of people with presbyopia can improve. After everything I have read about neuroplasticity I am not too surprised. What does surprise me, however, is that they have reached this result without changing anything in the optical characteristics of the eye itself. Instead, they had participants in the study repetitively do a very demanding visual task in which they had to distinguish a small picture which was shown against a background with which it contrasted only slightly. The exercise required a great deal of concentration and effort. The participants did this exercise about 3 times a week over 3 months. On average they learned to distinguish letters which were 60% smaller than the letters had been able to distinguish at the beginning of the study. The visual information which was passed on from the eye had not been enriched. What was changed was the ability of the visual cortex to do more with this information. It had become more sensitive. The brain had become more capable of de-blurring the information. You mention above that " I do not yet need reading glasses (ate age 53). I'm not sure why I don't but it may be related to the fact that I once found, in a book, a small exercise to train the eye muscles, which I have done, occasionally." I wonder if you could share what that exercise is? I would be very grateful. Many thanks. I don't remember which book it was but the exercise went something like this. You keep your head straight ahead and then direct your eyes leftward as far as you can and keep that up for some time. Then go back to the center, close your eyes and relax. Then direct your eyes rightward for as far as you can and so forth. Then up, then down, then diagonal left up, diagonal right-down, diagonal right up, diagnoal left-down. Eacht time before focusing in a new direction you go back to center and relax with eyes closed. After this roll your eyes leftward for some time. Then back to center and relax. Roll your eyes rightward, etc, etc. That is how I remember it.